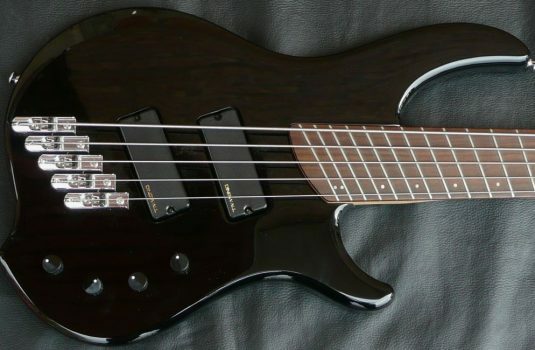 Marleaux JB5 – a very high quality German-made take on the familiar JB theme. 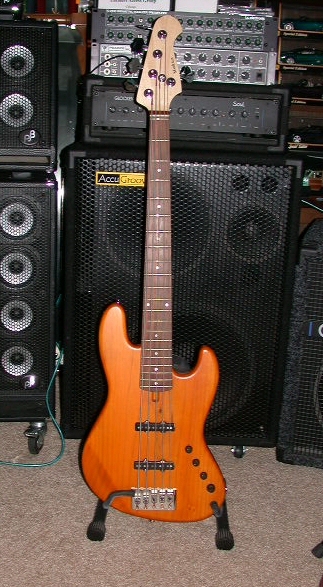 This bass can go vintage with a passive tone or active with 2 band EQ. 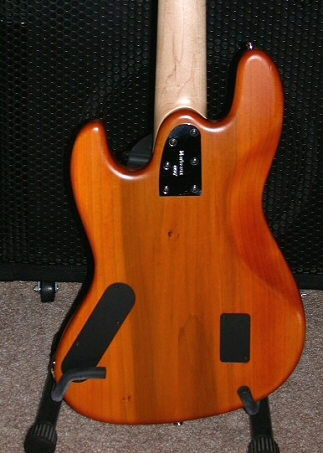 The finish is called cognac, a matte type finish in a rich amber hue. 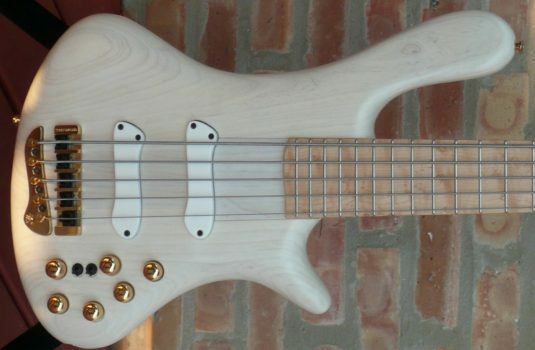 The body is California Whitewood (very much like Ash), the neck is one piece Maple with a Rosewod (?) 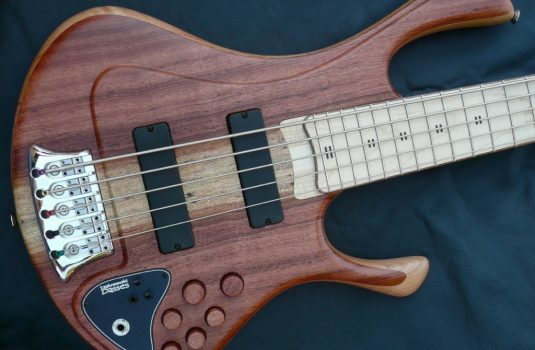 fretboard. 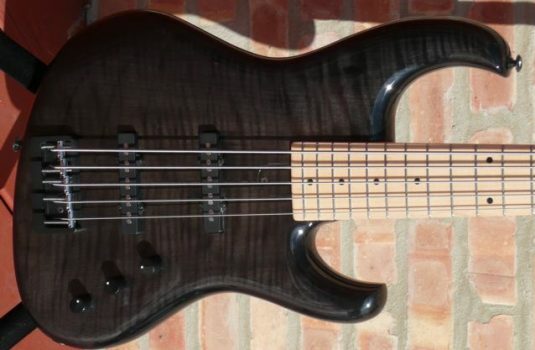 The scale is 34″, the B is strong, and as usual, Marleaux employs a zero fret so open strings have the exact same timbre as fretted notes. 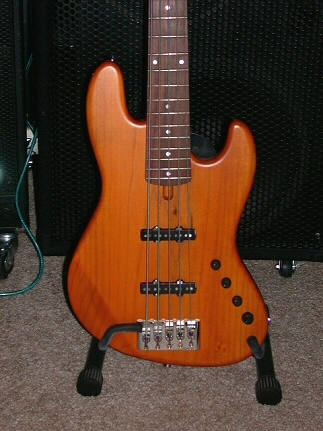 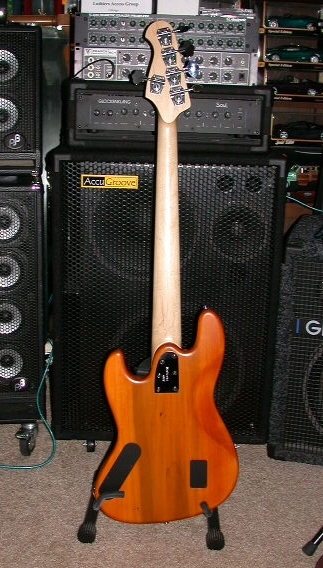 This bass is little played, and in exceptionally fine condition, a few surface scratches ( see rear photo ), no bare wood.